While most social networks have taken a small break after winter holidays, Facebook has continued developing its platform non-stop. 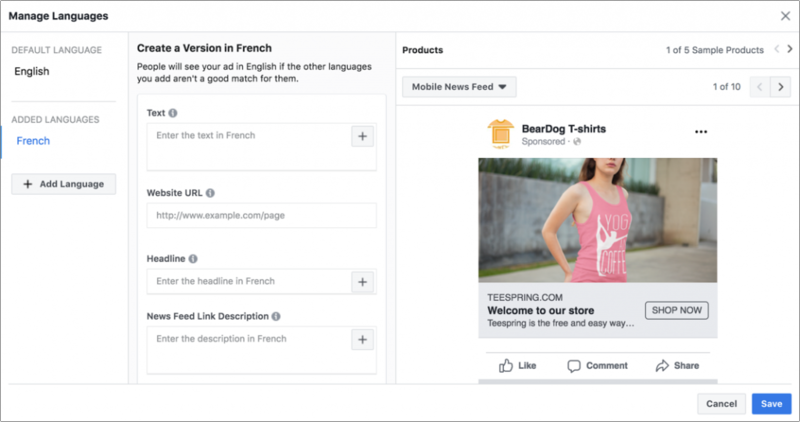 The first tool revealed this year was Multiple Language Dynamic Ads, in other words, dynamic ads on Facebook will now have the posibility to translate ads automatically in various languages, relative to your region and segmentation preferences. 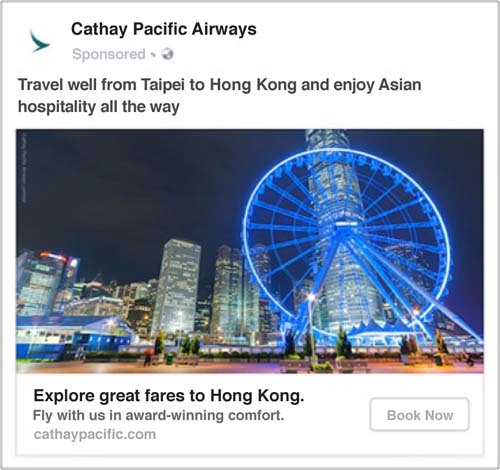 As we know, dynamic Facebook ads are design to automaticaly show the most prefered products of users who have shown an interest in your page, app or any other place on the Internet. This new addition comes along with many other experiments to create a place where we can all connect and communicate with each other. An example of this is the new tool: Facebook Cross-Border Insights. Allowing us to find international business opportunities easier on Facebook. Also, this tool will let us add new languages to our product catalog, in a way that let’s people who speak certain language to get our ads in their own language by default, if they want it so. For many, it would seem like Facebook is trying to create a new commerce infrastructure within its own platform, since not so long ago they created a blockchain division with former PayPal president David Marcus. Every day there are more and more reports that they are trying to create a cryptocoin to create business transactions directly on WhatsApp. This would pave an easier road for Facebook to make their own transactional trade, which could lead to a more direct form of business, on platform and through comercial frontiers. Facebook already had a translation tool on Messenger since last year, and had implemented a language optimization tool very close to this one, but not with the same capabilities. We know that Facebook is doing the impossible to call our attentions into Stories. With this in ming, the social network added a tool that allows us to share events we are interested in on Stories to invite ous friends to go. The tool is on Beta right now in the US, Mexico and Brasil. The option appears directly on the event’s options and we may create special frames and stickers that let other users register their interest by simply clicking on it. This way, users may see a list of hich of their friends are going in orded to coordinate each other better. Basically, Facebook is looking for video content to be more interactive with the overall tools of the platform and hopefully get more engagement. 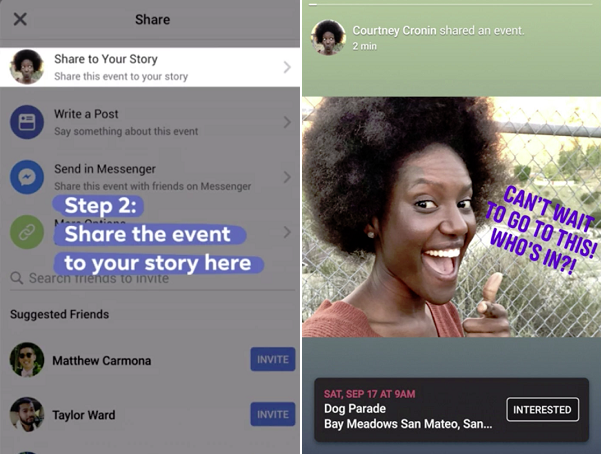 Behind this idea there’s great determination to make Facebook Stories improve its numbers after it was reported that engagement on Facebook is down, mainly on younger audiences. 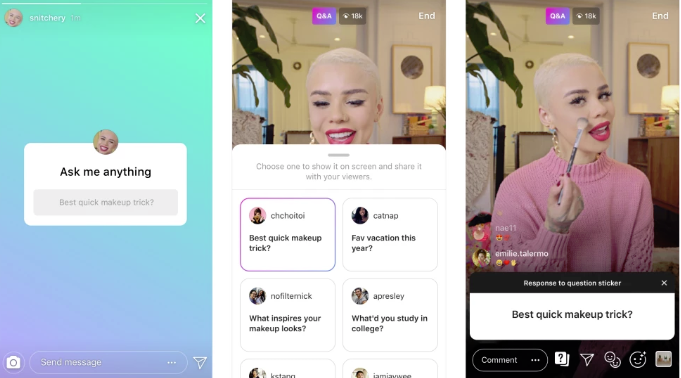 We can understand why Facebook is looking to make stories work, they need to recreate the spark that made Instagram and Snapchat popular among the youngsters. Also, for brands, Facebook keeps working on hyperlinks on Stories, after many users claimed the tool had disappeared. However, it’s reported that they have changed the way they work, into something closer to what we have on Instagram. In the very same way, Facebook is testing Stickers with Call-To-Action to buy, book, call or get directions. Never ever had we expected Facebook to get so desperate for traffic, not that it’s lacking, but any lowpoint is worthy of revision. However, Stories have lived enough time on the platform to make the call. They either work or they don’t. How long will they keep betting on a tool that users simply don’t want? We’ve even seen it on other platforms. Twitter changed the timeline back to chronological, Instagram, in the same fashion, added a new function that tells you when you are up to date. Facebook needs to find the niche for Stories or let users foget it already.